For its 5th season, Classical Tahoe, formerly Lake Tahoe SummerFest, brings together 40 nationally recognized musicians to Lake Tahoe for a three-week festival beginning July 26 through Aug. 13. Under the direction of Conductor and Artistic Director Joel Revzen, the 11-concert series is designed to support Tahoe's cultural growth while bringing together an all-star assembly of musicians from the Metropolitan Opera Orchestra, Leipzig Gewandhaus Orchestra, San Francisco Symphony, Seattle Symphony, LA Phil, Reno Phil and other exceptional orchestras throughout the world. 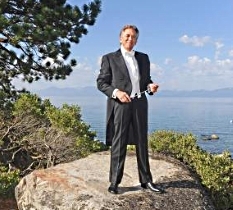 Maestro Revzen says, "For this special 5th anniversary season, Classical Tahoe highlights famous fifths including Mozart's 5th Violin Concerto and Beethoven's powerful 5th Symphony. We'll also feature selections that make this season our most varied, from Handel and Vivaldi to Stravinsky and Brubeck. All of this, plus intimate and engaging 'Meet the Music' concerts where we will shine a spotlight on our extraordinary musicians in chamber concerts giving a unique opportunity to experience, close-up and exceptional classical music." The name evolution from Lake Tahoe SummerFest to Classical Tahoe was completed to highlight the true focus and caliber of music performances this festival is noted for. The name Classical Tahoe combines the two main stars of the festival: the extraordinary classical musicians with the unmatched beauty of Lake Tahoe. "This year we are thrilled to celebrate our 5th season. When we took a close look at the festival and what really makes it stand out, the name Classical Tahoe seemed the perfect description," Board Chair Marna Broida said. "Combine our world-renowned musicians with the undeniable beauty of the Tahoe Basin and you have a classical music festival. --Allyson Bolton, RAD Strategies, Inc. The National Philharmonic, led by Music Director and Conductor Piotr Gajewski, performs Tchaikovsky's Symphony No. 6 ("Pathétique") on Saturday, June 4 at 8pm at the Music Center at Strathmore. The concert will also feature the National Philharmonic's nearly 200 voice all-volunteer chorale performing Brahms's Gesang der Parzen ("Song of the Fates") and Nänie. A free pre-concert lecture with Associate Conductor Victoria Gau will be presented in the Concert Hall at 6:45 p.m. on Saturday. In addition, the National Philharmonic will offer its first free instrument petting zoo, where children and their families can explore and learn about orchestral instruments, from 7-7:30 pm in the Orchestra Lobby. Concert tickets start at $29 and are free for children ages 7-17 through the ALL KIDS, ALL FREE, ALL THE TIME program. ALL KIDS tickets must be reserved by calling (301-581-5100) or visiting the Strathmore Box Office. Parking is complimentary. Strathmore is located at 5301 Tuckerman Lane, North Bethesda, MD 20852. For more information or to purchase tickets, go to www.nationalphilharmonic.org or call 301-581-5100. New England Conservatory recently announced that the estate of world-renowned violinist, educator and NEC alum, Si-Hon Ma ('50 M.M, '52 A.D) has gifted the 1714 "Joachim-Ma" Stradivarius violin to the school. The three-hundred-year old instrument was previously owned by 19th century, Hungarian virtuoso, Joseph Joachim who died in 1907. Joachim owned no less than 10 Stradivari violins during his lifetime, but he is most closely associated with the Cremona-built "Joachim, Ma" violin, which was most likely the violin he played when he premiered the Brahms Violin Concerto Opus 77 in 1879. Joachim and Ma were united by a similar artistic path, as Ma's teachers Alfred Wittenberg and Richard Burgin, were both students to Joachim. Ma purchased the Stradivari owned by Joachim on August 15, 1967, the 60th anniversary of the death of Joachim and performed on it for almost his entire career. The violin is named after both musicians. The Conservatory will debut the instrument on April 23, 2016 in an NEC student and faculty recital in Jordan Hall. Cal Performances' board of trustees chair Gail Rubinfeld and executive and artistic director Matías Tarnopolsky today announce the 2016–17 season, featuring two world premieres, four co-commissions, return engagements with world-class performing artists, and the second season of Berkeley RADICAL. Under the banner of Berkeley RADICAL, artists, curators, UC Berkeley faculty, and other noted figures create imaginative, immersive programs to enhance the commissioning, creation, and presentation mission of Cal Performances by the aspiration to increase artistic literacy for the next generation and beyond. New England Conservatory announces today that internationally respected violist, faculty member, and Kim Kashkashian has been elected to the American Academy of Arts and Sciences. Kashkasian joins a group of 213 new members who the American Academy of Arts and Sciences has elected to its 236th class. The 2016 inductees include some of the world's most accomplished scholars, scientists, writers, artists, as well as civic, business, and philanthropic leaders. A private induction ceremony will be held for the newly elected members on October 8, 2016 in Cambridge, Massachusetts. ABS and Maestro Jeffrey Thomas are pleased to share with you their 2016-17 Season featuring the 7th annual ABS Festival & Academy, annual fundraising Gala, beloved Holiday concerts, and critically acclaimed main season programs. ABS Festival & Academy: "An Italian Journey"
August 5-14, 2016; St. Mark's Lutheran Church / San Francisco Conservatory of Music. The Festival opens with large-scale sacred masterworks from Baroque Italy, including Handel's Dixit Dominus and Vivaldi's Gloria. August 5, 2016; 8:00 pm; St. Mark's Lutheran Church, San Francisco. Captivating works by Italian composers Albinoni, Caldara, Frescobaldi, Vivaldi, and others performed by the ABS Academy Faculty, an outstanding group of worldwide leaders of the Early Music movement. August 6, 2016; 8:00 pm; St. Mark's Lutheran Church; San Francisco. Bach's masterpiece is the pinnacle of the Baroque repertory and an annual tradition of the ABS Festival. Jeffrey Thomas conducts the ABS Festival Orchestra and the American Bach Choir in two acoustically splendid San Francisco venues. August 14, 2016; 2:00 pm; San Francisco Conservatory of Music, San Francisco. Academy-in-Action concerts showcasing the talents of ABS Academy participants—the next generation of early music virtuosi—in works by Baroque masters. August 9, 2016; 8:00 pm; San Francisco Conservatory of Music. Handel's rarely performed serenata is set on the slopes of Mount Parnassus where Apollo and the nine muses oversee a marriage between the mortal Peleus and the divine Thetis, parents of the legendary hero, Achilles. Jeffrey Thomas conducts the ABS Academy Festival Orchestra and the American Bach Choir in the North American premiere of this charming work of stunning beauty and musical variety. August 12, 2016; San Francisco Conservatory of Music. The expert period-instrumentalists of ABS, conducted by Jeffrey Thomas, take center stage for thrilling performances of Italian Baroque concertos that were composed for especially virtuoso players and orchestras. August 13, 2016; 8:00 pm; San Francisco Conservatory of Music. Is "Early Music" Always from Europe? Salon/Sanctuary Concerts, in collaboration with the Goddard Riverside Community Center presents two unique concerts which explore some unseen faces of Historical Performance. Features acclaimed a cappella group The Western Wind in a concert of music from the earliest days of the United States. Works by William Billings (1746 – 1800), Stephen Jenks (1772-1856), Elkanah Kelsey Dare (1782-1826), and Matilda T. Durham (1815-1901), along with Shaker hymns, part songs, proto spirituals both Black and White attest to the vital hold that biblical Liberation imagery held over the early American consciousness. A surprisingly complex musical landscape emerged from an embryonic nation, a soundscape and culture that grew from dreams of freedom and the labor of slaves. Features chants and dances of Western Africa pre-date by centuries any music that we currently refer to as "early." Some of the oldest music known to us today – music that survived a harrowing ocean journey, centuries in the shadows of the Land of the Free, continues to pulse with enduring power through the amplified soundscape of modern popular song. Schumann: Kreisleriana, Op. 16 "Phantasien für das Pianoforte"
Beethoven: Piano Sonata No. 29 in B-flat Major, Op. 106 "Große Sonate für das Hammerklavier"
Don't let her youth fool you. Twenty-seven-year-old Chinese born-pianist Yuja Wang is the real thing; a world-famous artist who has achieved a level of technical brilliance and interpretive insight that eludes many more experienced artists. Emil Gilels, Carol Brice, soloists; Fritz Reiner, Chicago Symphony Orchestra, RCA Victor Symphony Orchestra, Robin Hood Dell Orchestra, NBC Symphony Orchestra, Pittsburgh Symphony Orchestra. EMI 7243 5 672866 2 7 (2-disc set). This two-disc set that EMI released in 2004 represents the quality one can find throughout EMI's "Great Conductors of the 20th Century" series, a series I'd like to see Warner Classics continue. 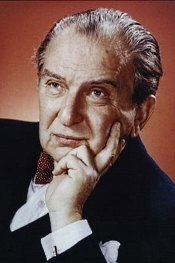 The set covers Hungarian-born conductor Fritz Reiner (1888-1963), who came to America in 1922 and established himself as one of the leading conductors of his day, culminating his career as Music Director of the Chicago Symphony Orchestra from 1953 until his death ten years later. Those were ten glorious years, especially as they represented his work in the forefront of the stereophonic recording era. 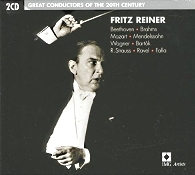 The Reiner recordings in the present two-disc set include over two-and-a-half hours of music by the conductor, covering most of the man's later career, about half in stereo and half in mono, and containing complete tracks from some of his best EMI, RCA, and Sony (Columbia) recordings from 1946 to 1959. Given that Amazon.com and other retailers are selling the set new and used for anything from $4 to $35, I'd say it's still a bargain. The set contains a boatload of music, but the centerpiece is the Brahms Second Piano Concerto with Reiner and the Chicago Symphony supporting pianist Emil Gilels in a performance from 1958. Gilels would, of course, go on to make an even more-celebrated recording of the work for DG some years later, but this one is more detailed in sound, one of RCA's "Living Stereo" productions of the time, and just as surefooted in execution. Think of it this way: For the price of the set, you get a terrific Brahms Second Piano Concerto, plus almost two more hours of equally good material. Do I have to say again that it's a bargain? Among the other pieces in the set are an adrenaline-rushing Beethoven Coriolan Overture in stereo with the CSO from 1959; a terrific Mozart "Linz" Symphony with the CSO in some of the best monaural you'll find; a sparkling Mendelssohn Midsummer Night's Dream Scherzo with the Robin Hood Dell Orchestra, actually the Philadelphia Orchestra, from 1951; Brahms's Tragic Overture, with the CSO in stereo from 1957; some of Wagner's Gotterdammerung and Siegfried's Rhine Journey, also with the CSO in stereo from 1959; Bartok's Hungarian Sketches, CSO, 1958; and Strauss's Till Eulenspiegel, Ravel's Le Tombeau de Couperin, and Falla's El amor brujo, complete, the latter three items in mono. Reiner continues to be one of my favorite conductors because like others of his era--Klemperer, Walter, Szell, Stokowski, and many more--he wasn't afraid to be himself, to let his own vision of a composer's work permeate the music, all the while maintaining a strict adherence to the printed score. It's a fine balancing act, to make old standards sound fresh and alive but not to violate their intent. Reiner could do it. Many of today's top conductor's seldom manage the feat, and compared to the vintage maestros they can appear almost commonplace, dull, or boring. And when the older conductors come to us in such good sound and at such reasonable prices, the proposition seems to me irresistible. But, then, maybe it's just me. Wanderings of the Spanish Jews. Nell Snaidas, soprano; Karim Sulayman, tenor; Jeffrey Strauss, baritone; Jeannette Sorrell, Apollo's Fire and Apollo's Singers. Avie AV2361. According to the Random House Unabridged Dictionary, "Sephardic" refers to the "Jews of Spain and Portugal or their descendants, distinguished from the Ashkenazim and other Jewish communities chiefly by their liturgy, religious customs, and pronunciation of Hebrew: after expulsion from Spain and Portugal in 1492, established communities in North Africa, the Balkans, Western Europe, and elsewhere." 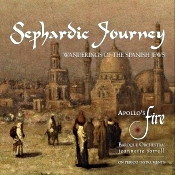 According to the liner notes for Sephardic Journey, "Cast out of Jerusalem, cast out of Spain. The Spanish Jews in their travels absorbed the accents of Italy, Turkey, and the Middle East. The daily rhythms of life--love, rejection, feasting and celebration--culminate in the mystical prayers of Shabbat." Then, according to Jewish Music: Its Historical Development by Abraham Idelsohn, "Jewish music is the song of Judaism. It is the tonal expression of Jewish life over a period of over two thousand years, during which the Jewish people have been rent from the physical homeland that cradled their youth. They have been scattered over the entire earth; influenced by almost every culture and nation, consisting of a small minority in each country. And yet, wherever a Jew is settled, whether in the desert of Arabia or the plains of Siberia, he carried his spiritual home in his heart. This spiritual nationality brought forth a folk song as distinctive as the people itself." Thus, the program of the present disc includes twenty selections from the traditional songs of the Sephardic people. (The Sephardic expulsion from Spain began in 1492, and the songs on the album derive mainly from the fifteenth through eighteenth centuries.) Vocalists Nell Snaidas, Karim Sulayman, and Jeffrey Strauss, accompanied by the Apollo's Fire Singers and the period-instrument ensemble Apollo's Fire, led by Jeannette Sorrell, immaculately execute the music. Apollo's Fire is a relatively small group of performers, about nine-to-twelve instrumentalists in all, depending on the tune, and about twice that number of backup singers, so expect a very personal, very intimate sound. It's just the sort of sound that fits the nature of the music. What's more, since Apollo's Fire strives for historical authenticity, I would guess they come as close as possible to the size and sound of the bands the ancient Jews had at their disposal. We hear in the music the influences of Spain, Italy, Turkey, and North Africa in particular. Furthermore, Apollo's Fire divide the songs into five categories, in order: "O Jerusalem," "The Temple," "Love and Romance," "The Sabbath," and concluding with "Feasting and Celebration." The booklet provides translations of each selection, the notes and music creating a kind of living history of the Sephardic people. The vocalists handle their parts with a smooth, polished authority, and the choir provide them a wonderfully clean, clear continuity and support. Of course, the Apollo's Fire instrumentalists play flawlessly, making the whole production seem effortless. The music they create is joyful, lively, wistful, and melancholic by turns; but, above all, it is expressively soulful. There are melodies and rhythms here that are hard to resist and even harder to forget, and it's difficult to imagine anyone doing them any better than Apollo's Fire and company. In fact, if it's historical accuracy one is after, one has to wonder if the wandering Jews of four or five hundred years ago could actually have sounded this good. But that's a moot question because what we have is today's recreation of their music, and in the hands of Ms. Sorrell and Apollo's Fire, that's very good, indeed. Beautiful, moving music. If I have any negative criticism of the program at all, it's something I've mentioned often enough about album's such as this. Namely, with so many short items on the agenda, so many bits and pieces, it's hard to focus on the overall effect. One thing starts, you get caught up in it, and just about the time you want more, it ends. (The longest selection is six minutes, but most are two or three minutes.) Still, the songs and music are so enchanting, it's hard not to appreciate them, and one cannot deny the pleasing cumulative effect they have on the listener. Producer and editor Erica Brenner and engineer Thomas Knab made the album for Apollo's Fire and Avie Records at St. Paul's Church, Cleveland Heights, Ohio in February 2015. Although the sound is a trifle close, it produces a remarkably detailed and lifelike effect. The natural ambient bloom of the acoustic adds to the realism of the sound, and there is a fine sense of depth as well as breadth to the music making. Percussion sounds vibrant, quick, and dynamic. Voices (solo and group), too, appear warm and natural and always in perfect integration with the instrumental setting. In short, this is among the best-sounding discs I've had the pleasure of hearing in some time. Michelle Witt, Executive and Artistic Director of Meany Center, remarks, "We are thrilled to present the exciting inaugural season of Meany Center for the Performing Arts. Our commitment to featuring extraordinary artists from around the globe continues as we support the expanded development of new work, innovative public engagement and learning in the arts." The Northwest premiere of Meany Center co-commission Layla and Majnun, performed by the Mark Morris Dance Group with The Silk Road Ensemble. Tesseracts of Time, a work created in collaboration with internationally recognized architect, Washington native, and UW alumnus Steven Holl, and performed by Jessica Lang Dance in its Northwest debut. The Washington, D.C.-based percussive dance troupe, Step Afrika!, performing the West Coast premiere of Meany Center co-commission, Migration: Reflections on Jacob Lawrence, which celebrates the 100th anniversary of the birth of painter Jacob Lawrence, a former UW professor. The Northwest premiere of a Meany Center co-commission from British composer Mark Anthony Turnage, performed by the Emerson String Quartet, and an appearance with guest pianist and UW professor Craig Sheppard. The Northwest debut of singer/songwriter Emel Mathlouthi, called "The Voice of the Tunisian Revolution." Seattle-area debut by the all-male French-Algerian dance troupe La Compagnie Hervé Koubi. Discounted full-series subscriptions and Choose Your Own subscriptions are on sale now. Prices for full-series subscriptions begin at $146; Choose Your Own subscription prices vary according to selection. Subscriber benefits include priority seating, free ticket exchanges (upgrade charges may apply), discounts off additional single ticket purchases and lost ticket replacement. Full-series subscribers also have the opportunity to purchase discounted parking passes. Single tickets go on sale to the general public on Monday, August 1. The Seattle Symphony presents Tuning Up!, a two-week festival celebrating American musical creativity of the 20th and 21st century at Benaroya Hall in Seattle and Marymoor Park in Redmond from June 17 to July 2. With a tremendous breadth of music over nine concerts, Music Director Ludovic Morlot and the Symphony will explore everything from avant-garde to minimalism, jazz to Broadway, classics to Hollywood. Highlights of the festival will include a celebration of the cult electronic instrument — the theremin, reflections on 9/11 and a continuation of the Orchestra's relationship with composer John Luther Adams. Local philanthropic support through the Judith Fong Music Director's Fund will enable concert tickets to be offered at low affordable prices, furthering the Orchestra's commitment to make music accessible to all. Tickets for all Tuning Up! Festival concerts at Benaroya Hall are $25 each (see below for Marymoor Park ticket information), with the exception of an untitled concert on July 1, which is $15. Tickets are available now for pre-sale to subscribers and donors, and on Friday, April 8 at 11 a.m. to the public. Tickets can be purchased online at www.seattlesymphony.org/summer, by calling the Seattle Symphony Ticket Office at (206) 215-4747 or (866) 833-4747, or in person at the Seattle Symphony Ticket Office on the corner of Third Avenue and Union Street. Tickets may also be purchased through the Seattle Symphony's iPhone and Android apps by searching "Seattle Symphony" or "Listen Boldly" at Apple's App Store or Android's App Store. Music Director Nadja Salerno-Sonnenberg and New Century Chamber Orchestra conclude the 2015-2016 season May 5-8 with the World Premiere of Dance Card by Pulitzer Prize-winner Jennifer Higdon. As this season's Featured Composer, Higdon was co-commissioned by New Century and River Oaks to write a new dance suite for string ensemble reflecting both their soloistic and ensemble virtuosity. 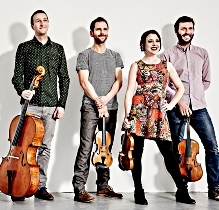 Consisting of five separate movements that can stand alone as separate works, Dance Card is described by the composer as "a celebration of the joy, lyricism and passion of a group of strings playing together." Following the theme of works inspired by dance, the evening also features Stravinsky's neo-Classical ballet Apollon musagète, a work based on Greek mythology and the composer's first composition for string orchestra. Completing the program is Dance of the Seven Veils from Strauss's Salome and Khachaturian's Sabre Dance. The program will be given on four evenings in different locations around the Bay Area: Thursday, May 5 at 8 p.m., First Congregational Church, Berkeley, Friday, May 6 at 8 p.m., First United Methodist Church, Palo Alto, Saturday, May 7 at 8 p.m., Herbst Theatre , San Francisco and Sunday, May 8 at 5 p.m., Osher Marin JCC, San Rafael. New Century offers an Open Rehearsal Tuesday, May 4 at 10 a.m., Kanbar Performing Arts Center, San Francisco for a price of only $15. The Open Rehearsal will offer a sneak preview of the concert repertoire, while allowing audiences to experience the musical democracy of a rehearsal without a conductor. Single tickets range in price from $29 to $61 and can be purchased through City Box Office: www.cityboxoffice.com and (415) 392-4400. Discounted $15 single tickets are available for patrons under 35. Open Rehearsal tickets are $15 general admission and can be purchased through City Box Office: www.cityboxoffice.com and (415) 392-4400. On Friday, May 13 and Saturday, May 14, 2016 at 8:00pm, contemporary opera producer American Opera Projects (AOP) will present "Composers & the Voice: First Glimpse 2016," a concert of songs from nine artists quickly emerging in the world of contemporary opera. Audiences will hear compositions written by composers Matthew Barnson, Carlos R. Carrillo, Nell Shaw Cohen, Marc LeMay, Cecilia Livingston, and Sky Macklay and librettists Edward Einhorn, Duncan McFarlane, Emily Roller, and Mark Sonnenblick, who were chosen by AOP to spend a year creating new works focusing on the operatic voice in its bi-annual fellowship program Composers & the Voice (C&V). The performances will be held at South Oxford Space in Fort Greene, Brooklyn, the home of AOP. Tickets are $25 general admission, $20 for students/seniors and are available at www.aopopera.org. First Glimpse 2016 will be performed by the AOP Resident Ensemble of Singers: coloratura soprano Tookah Sapper (Manhattan School of Music), lyric soprano Jennifer Goode Cooper (NYCO, Glimmerglass), mezzo-soprano Blythe Gaissert (Metropolitan Opera, Sarasota Opera), tenor Blake Friedman (BAM, St. Petersburg Opera), baritone Michael Weyandt (Lyric Opera of Virginia, Dicapo Opera Theater) and bass Jonathan Woody (BAM, Apollo's Fire). Each of the songs were composed specifically for the singers' voices, after months of study and experimentation during the C&V program. Supporting on piano will be C&V Music Directors Mila Henry, Kelly Horsted, and Charity Wicks. The performances will be part of the first annual New York Opera Fest (http://nyoperafest.com), a two-month long festival made up of members of the New York Opera Alliance (NYOA), a consortium of New York alternative/independent opera companies and producers. Tickets: General Admission: $25; Students/Seniors: $20. Gatti and Beethoven: The MCO and Artistic Partner Daniele Gatti conclude their much-lauded Beethoven cycle with Beethoven's Eighth and Ninth Symphonies. The concerts will take place in Torino (27 May), Ferrara (28 May), Bergamo (29 May) and Brescia (30 May). Håkan with Harding: The MCO joins forces with Conductor Laureate Daniel Harding and Håkan Hardenberger in a programme pairing Beethoven with works by Mark-Anthony Turnage and Edgar Varèse. This programme can be heard in Cologne (15 June) and Ravenna (19 June). "On Becoming a Musician": How does the Academy embody many of the values of the MCO and how are they shared between the orchestra and a new generation of musicians? Did you know that in the past 22 years the SOLI Chamber Ensemble have performed over 220 concerts, commissioned and gave the world premieres of 46 brand new works, and educated the future stars of the music world all in our fair city of San Antonio, Texas? Did you also know that we have toured the nation, representing our city and it's cultural vitality with our award winning programming? Whether or not you knew any of the facts above, or have ever been a SOLI supporter before, we would like to invite you to experience the wonder of contemporary classical music, and re-discover SOLI. This year on May 3rd, SOLI will again participate in The Big Give S.A. a day of Giving for the numerous non-profits throughout San Antonio and surrounding areas. We hope that you will put SOLI on top of your list of organizations to support and help us give life to the "Music of Today." West Edge Opera's 2015 Festival of three operas will take place July 30 through August 14 at Oakland's abandoned Train Station at 18th and Wood in West Oakland. Under the combined artistic leadership of General/Artistic Director Mark Streshinsky and Music Director Jonathan Khuner, the Festival opens on Saturday, July 30 at 8 pm with Leoš Janácek's The Cunning Little Vixen. Repeat performances are Sunday, August 7 at 3 pm and Saturday, August 13 at 1 pm. The first West Coast staging of Thomas Adés's Powder Her Face opens on Sunday, July 31 at 3 pm. With a plot drawn from real life – the scandalous 1963 divorce proceedings of the "Dirty Duchess," Margaret Campbell, Duchess of Argyll, this modern masterpiece provokes and challenges. Repeat performances are Saturday, August 6 at 1 pm and Saturday, August 13 at 8 pm. Handel's Agrippina, directed by Mark Streshinsky, opens Saturday, August 6 at 8 pm. In this opera that could be considered a prequel to Monteverdi's L'Incoronazione di Poppea, Handel has created an oddball comedy filled with scheming characters from ancient Rome with a plot full of humorous escapades laden with irony, deception and intrigue. Festival Subscriptions are now on sale, priced at $260 for "gold" seating and $154 for "silver" seating; also offered is $146 "silver" seating for seniors and youth. "Gold" seating is reserved; "silver" is general admission within a reserved section. Single tickets go on sale June 1 and will also include a non-series limited view price of $20, available a week prior to each performance. For more information or to view a virtual brochure, call (510) 841-1903 or visit westedgeopera.org. Nicholas McGegan and Philharmonia Baroque Orchestra & Chorale will embark on two spring tours beginning with a reprise of the modern world premiere of Alessandro Scarlatti's "The Glory of Spring" at Carnegie Hall. This 300 year-old serenata was recently discovered and performed and recorded for the first time in the western hemisphere by McGegan and Philharmonia in the San Francisco Bay Area in October 2015. The original cast will appear on tour at Carnegie Hall in New York and Segerstrom Hall in Costa Mesa CA. The tour coincides with the release of this Scarlatti work on the Orchestra's Philharmonia Baroque Productions label. Philharmonia's tour continues with a program of George Frideric Handel, Henry Purcell, and Arvo Pärt, featuring soprano Anne Sofie von Otter and countertenor Andreas Scholl. Audiences will also hear the world premiere of "Red, Red Rose" by Caroline Shaw, the 2013 Pulitzer Prize winner in composition, at Walt Disney Concert Hall. The work was commissioned by Philharmonia Baroque Orchestra and inspired by the Robert Burns 1794 poem "O my Luve's like a red, red rose" after von Otter expressed a fondness for Burns's writing. Shaw is known for her unique compositional style with a particular passion for the Baroque structure. On May 12, the Attacca Quartet will present the final concert in its ambitious, six-year long project covering "The 68," the complete cycle of 68 string quartets composed by Joseph Haydn. The performance will take place on Thursday, May 12 at 7:30 at Holy Trinity Lutheran Church (3 West 65th Street), with a pre-concert discussion with the quartet at 7:00. The program will include Opus 1, No. 1; Opus 42; Opus 103; and Opus 76, No. 5. Says the quartet of the cycle: "Over the years, we have explored a variety of string quartets greatly ranging in styles, sounds, and complexity. As we attempt to understand these most abstract of works, we have discovered the importance of looking to the roots of their composition to more fully realize what inspired so many composers to create such a fantastic repertoire for this genre. What better way to do this than to play the complete string quartets of the man who started it all, Franz Joseph Haydn?" New England Conservatory announced today that four of its students have been presented with awards from the Minnesota Orchestra Young Artist Competition. Kyle Orth '16 M.M., piano, Alexi Kenney '15 B.M., '17 A.D., violin, Noémie Raymond-Friset '16 G.D., and Yoojin Jang '12 M.M., '13 G.D., '15 A.D., violin were among the competition's recipients. Orth is this year's Young Artist Competition Grand Prize winner. The Grand Prize, awarded at the discretion of Minnesota Orchestra Music Director, Maestro Osmo Vanska, is a subscription series concert performance with the Minnesota Orchestra led by Vanska and a $8,500 in cash prize. On May 7 and 8, New York University's Tisch School of the Arts, American Opera Projects (AOP), and the Fort Greene Park Conservancy (FGPC) will present "Park and Bark," thirteen mini-operas written by students in Tisch's Graduate Musical Theatre Writing Program (GMTWP) on the subject of Fort Greene Park, one of New York's, and the nation's, most historic and vibrant neighborhood parks. The operas, each under fifteen minutes, include musical dramatizations of the park's large dog walking community, the remains of the Prison Ship Martyrs from the American Revolution, and the bust of Edward Snowden (Prison Ship Martyrs Monument 2.0) that appeared overnight in 2015 and made international headlines. Six of the operas, staged by opera director, associate Arts Professor and Head of Dramaturgy in the Graduate Department of Design for Stage and Film Sam Helfrich (Glimmerglass, Virginia Opera, Boston Lyric), will be performed at NYU Tisch's Black Box Theater (715 Broadway, 2nd Floor, NY 10003) on Saturday, May 7th at 2:00pm. The other seven operas will be performed in an outdoor concert near the Visitors Center at Fort Greene Park on Sunday, May 8th at 4:00pm. All performances are free and open to the public. More information can be found at www.aopopera.org. Also, Scriabin: The Poem of Ecstasy. 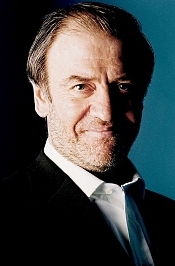 Valery Gergiev, Kirov Orchestra. Philips 289 468 035-2. Could any two works be more similar and yet so very disparate as Alexander Scriabin's Poem of Ecstasy and Igor Stravinsky's Rite of Spring? Russian composers wrote both of them at the beginning of the twentieth century (the Poem in 1907, the Rite in 1913), and the composers were within a decade of one another in age when they wrote them. Yet the Poem of Ecstasy is clearly the concluding chapter of a bygone era, while the Rite of Spring is a preface to a whole new age of modernism. Hearing them side by side as here, the differences can sometimes sound startling. Oddly, except to sell the disc, the program opens with the newer, longer work, the Rite. Stravinsky intended it to represent, of course, the coming of spring and the renewal of the Earth through the pagan ritual of sacrifice, in this instance a young woman who literally dances herself to death. Under Gergiev's direction, it is appropriately savage and intense, although not as much so as under some of my favorite conductors of the work: Leonard Bernstein (Sony), Sir Georg Solti (Decca or JVC), Riccardo Muti (EMI), Pierre Boulez (Sony), or the composer himself (Sony). 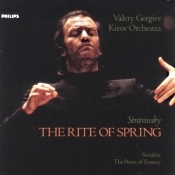 Gergiev insists upon providing more sensuality in the piece than outright kinetic ferocity, while making a strong case for the composition's severity through his flexible use of dramatic contrasts. Following that, the Poem of Ecstasy appears positively Romantic, which it no doubt is. Unlike the lean, hard, compact fabric of the Rite, the Poem sounds thicker, the textures more richly upholstered, with long, languorous phrases evoking the kind of literary eroticism its composer had in mind. Frankly, I preferred Geriev's voluptuous approach to the Poem more than I liked his rendering of the Rite. 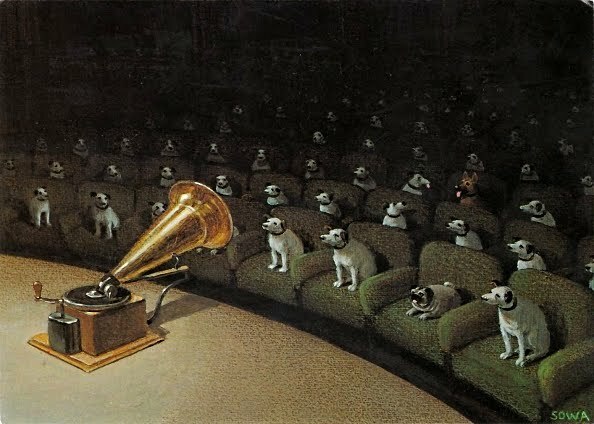 The Philips sound, originally released on disc in 2001, is not quite as we have come to expect from this source. Things are slightly thick and dark, but fairly natural, too, and highly dynamic. The stereo spread is not so wide as to suggest any compartmentalization of instruments but conveys a realistic homogeneity of sound, with even some depth to the orchestra. Don't expect a wealth of inner detail, however, or as much transparency as on some competing releases; expect, instead, a reasonably true-to-life flow of sound as might be heard from a midway seat in a concert hall. It's a comfortable yet highly robust sound, well matching the technique of the music making. 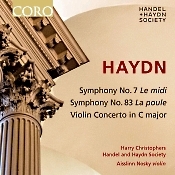 Also, Violin Concerto in C. Aisslinn Nosky, violin; Harry Christophers, Handel and Haydn Society. CORO COR16139. The good: Harry Christophers and the Handel and Haydn Society provide excellent performances of some lesser-known Haydn material. The bad: CORO chose to record the performances live, with the attendant concerns this entails. The ugly: Nothing; overall, this is a fine album. 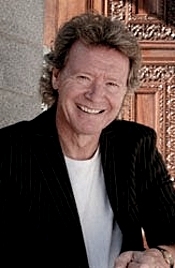 You may know Maestro Christophers better as the leader of the British vocal and period-instrument ensemble The Sixteen, which he founded in 1977. With that group he worked mainly in the Renaissance and Baroque periods. In 2008 he became the Artistic Director of the Boston-based Handel and Haydn Society, which, founded in 1815, is America's second-oldest musical organization (the U.S. Marine Band has it beat by a few years). Think of it: The Handel and Haydn Society began playing Haydn's music just half a dozen years after the composer died, and they have been doing so ever since. Anyway, the biggest delights in this album are really about all you could ask for from any album: satisfying tunes and beautiful playing. The tunes include an early Haydn symphony we don't hear often: No. 7 n C major, "Le midi" (midday), written in 1761 when the composer had just joined the service of Prince Paul Anton Esterhazy as Vice-Kapellmeister. Then there's a more familiar item, the Symphony No. 83 in G minor, one of the "Paris" symphonies that folks have been recording for ages. But the jewel in the crown is the Violin Concerto in C major, with the Handel and Haydn Society's concertmaster, Aisslinn Nosky. Together, they offer up a real treat for the Haydn fan. Symphony No. 7 leads off the program, and it sets the tone for the rest of the music making. Maestro Christophers takes an easy, relaxed approached to his conducting, never rushing or over-dramatizing the music but rather coaxing the finest nuances from it. This is especially evident in the slower moments, which are quite lovely. His overall handling of the symphony is elegant, stately, refined, perhaps in deference to the Prince he was working for. Next is the Violin Concerto in C, which, as I've said, is the highlight of the disc. Ms. Nosky plays with a light but commanding touch, helping the music to dance or shine or float as the need arises. The Adagio is both heavenly and endearing. Meanwhile, the period-instrument orchestra play with a stylish grace; while they aren't as energetic or bouncy as some historical groups, they have a clearheaded idea of how they should play this music, and they do so with a smooth authority. The album concludes with the familiar Symphony No. 83. Christophers and the orchestra play it with the appropriate gravity afforded a mature work. Yet they maintain a healthy respect for Haydn's noted humor and cheerfulness, which make themselves manifest in the odd "clucking" sounds that gave rise to the symphony's nickname, "The Hen." Producer Raphael Mouterde and engineer James Donahue recorded the music live over two nights at Symphony Hall, Boston, Massachusetts in January 2015. The live sound is typical of close-up miking. In order to minimize audience noise, the engineer puts the microphones as near to the orchestra as possible. This usually results, as here, in a dynamic and well-detailed sound. However, it also comes with a decrease in hall ambience and realism. Then, too, one is always aware of the audience's presence, particularly during pauses or breaks, and that can be a distraction, no matter how minor. Thankfully, CORO chose to delete any closing applause. The Music Institute of Chicago continues the 10th anniversary celebration of its Academy program, which has educated and prepared gifted pre-college musicians for professional training and music careers, with a festive concert program featuring acclaimed Music Institute alumni violinist Rachel Barton Pine and violist Matthew Lipman Saturday, May 14 at 7:30 p.m. at Nichols Concert Hall, 1490 Chicago Avenue, Evanston. Pine and Lipman, joined by the Academy Orchestra, perform Mozart's Sinfonia Concertante in E Flat for Violin and Viola, K. 364, led by Academy conductor Roland Vamos. The Orchestra also performs Beethoven's Symphony No. 1 in C Major, Op. 21 and Arvo Pärt's short work Fratres, both conducted by Academy Director James Setapen. During the past 10 years, more than 200 Academy students have matriculated to the finest conservatories and colleges in the country. Many have successful solo and chamber music careers or hold seats in major orchestras across the country. The Music Institute has invited Academy alumni to return for this special 10th Anniversary concert to acknowledge their place in the Academy's success. 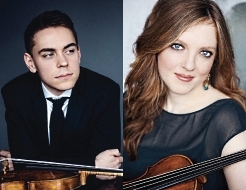 The Music Institute of Chicago's Academy 10th Anniversary concert featuring Rachel Barton Pine and Matthew Lipman takes place Saturday, May 14 at 7:30 p.m. at Nichols Concert Hall, 1490 Chicago Avenue in Evanston, Illinois. Tickets are $30 for adults, $20 for seniors and $10 for students, available at brownpapertickets.com/event/2490397 or 847.905.1500. All programming is subject to change. The Music Institute of Chicago announces 20 quarterfinalists for the inaugural Chicago International Duo Piano Competition taking place June 8–11, 2016. An unprecedented 32 piano duo teams, ranging in age from 25 to 38 and representing 18 countries in Asia, Europe, and North America, competed for a spot in the quarterfinals. Judges for the video round included renowned pianists Edward and Anne Turgeon and Du Huang. Competition Directors Claire Aebersold and Ralph Neiweem remarked, "We are thrilled with the number and stellar quality of all those who applied to the competition. It will be exciting to watch the competition unfold in June. All rounds of the competition will be open to the public, and we hope to create the atmosphere of a four-day festival for piano duos." Dr. Mark George, president and CEO of the Music Institute, added, "This is the beginning of a new era for Chicago, which is now becoming a destination for the best young musicians in the world." The Russian duo Vis a Vis (Rolina Grigoreva and Yulia Yurchenko) took the grand prize of $8,000 in the Music Institute's previous Duo Piano Competition in 2011, held in honor of Liszt's 200th birthday. This year's expanded competition will award a $10,000 grand prize, $5,000 for second prize, and $2,500 for third prize. In addition, one of the winners will receive a professional engagement at the 2017 Chicago Duo Piano Festival, now in its 27th year. The 2016 Chicago International Duo Piano Competition will take place through three rounds of competition June 8–11, 2016 at historic Nichols Concert Hall. 1490 Chicago Ave. in downtown Evanston, Il. Dates, times, and day price passes for each round, open to the public, are as follows: quarterfinals June 8, 9 a.m.–5 p.m., $15; quarterfinals June 9, 9 a.m.–5 p.m., $15; semifinals June 10, 10 a.m.–9 p.m., $20; and finals June 11, 11 a.m.–8 p.m., $25. A pass to see all rounds of the competition is $50 general admission. All passes are available at 2016-chicago-international-duo-piano-competition.brownpapertickets.com. Student tickets for $10 will be available at the door one hour before each event, subject to availability. Cal Performances executive and artistic director Matías Tarnopolsky announced today the sixth season of Ojai at Berkeley, curated by music director Peter Sellars, to take place at Cal Performances, June 16–18, following the 70th Ojai Music Festival in Ojai, California. As two entities with similar artistic values, Ojai and Berkeley are known for intrepid artistic discovery, spirited intellect, and enduring engagement in the arts--Ojai at Berkeley celebrates the dynamic nature of the Ojai Music Festival and of Cal Performances. Music director Peter Sellars' vision for Ojai at Berkeley 2016 is to present voices of powerful women, each unique from various perspectives, "generations of women who created and are creating voices for the future." Ojai at Berkeley 2016 will open Thursday, June 16, at Zellerbach Playhouse with composer Kaija Saariaho's La Passion de Simone, about the life of the 20th-century French radical philosopher Simone Weil. Sellars calls the work, "a memorial to one of the most courageous and progressive philosophers in history, a difficult and determined freedom fighter." Written originally for chorus and orchestra, this new chamber version--which will receive its American premiere in Ojai, and Bay Area premiere in Berkeley--will be performed by soprano Julia Bullock, ICE (International Contemporary Ensemble), and the vocal ensemble Roomful of Teeth, and conducted by Berkeley Symphony music director Joana Carneiro. On Friday, June 17, Dina El Wedidi and her band will perform The Sounds of Tahrir Square, Cairo in Zellerbach Hall. Sellars calls El Wedidi's work, "the sound of the Arab Spring, and its echo. Her irresistible voice is an important part of the future of Egypt." El Wedidi first appeared at Cal Performances to acclaim in February 2015 as part of The Nile Project. On Saturday, June 18 at Zellerbach Playhouse, Julia Bullock will portray one of the greatest vocal and dance artists of the 20th century, Josephine Baker, whom Sellars sees as "a pathbreaking avatar of social, sexual, and racial liberation." The work, with music by Tyshawn Sorey, was commissioned by ICE and will feature members of the ensemble. Josephine Baker: A Portrait receives its world premiere at the Ojai Music Festival this year, and its Bay Area premiere in Berkeley. Tickets for Ojai at Berkeley, June 16–18, are $20. A Festival Pass good for all three Ojai at Berkeley performances is $45. Half-price tickets are available for UC Berkeley students. Tickets go on sale to the public Saturday, April 9 at 1pm and will be available through the Ticket Office at Zellerbach Hall, at (510) 642-9988, at calperformances.org, and at the door. For more information about discounts, visit calperformances.org/buy/discounts. The National Philharmonic Singers, conducted by Stan Engebretson and Victoria Gau, will present a free spring concert on Saturday, May 7 at 8 pm at Christ Episcopal Church, 107 South Washington St., Rockville, MD. The concert will feature music from well-known composers such as J.S. Bach, William Byrd and Claude Debussy in addition to stunning new compositions by living composers Eriks Esenvalds, Daniel Elder and Jake Runestadt. Uplifting choral spirituals will conclude this exciting concert. The National Philharmonic Singers is a chamber choir and one of several performing groups from the National Philharmonic in residence at the Music Center at Strathmore. As such, it promotes works suited for smaller ensembles, whether with accompaniment or a cappella. Its repertoire ranges from 15th to 21st centuries, and it often premieres new compositions by local composers. The April 5 concert is free, but donations in support of the Community Ministries of Rockville will be gratefully accepted. For directions to the Christ Episcopal Church, please visit christchurchrockville.org/directions.htm#Platinum or 301-762-2191, ext. 3. For more information, please visit nationalphilharmonic.org for call 301-493-9283, ext. 116. The inaugural New York Opera Fest will take place May-June, 2016, with over 20 New York City-based companies putting on events in venues ranging from bars to playgrounds to traditional theaters. In addition to performances, the festival will showcase behind-the-scenes events where the public can attend open rehearsals, forums, showcases, and masterclasses featuring some of opera's brightest emerging talents. Enter the ABS Raffle for your chance to win a trip to Costa Rica! Purchase tickets at the next ABS concert, Easter & Ascension Oratorios (April 22-25), or by calling the ABS office at (415) 621-7900, Monday through Friday, between 10:00 a.m. and 4:00 p.m. The drawing will be held on Friday, April 29th. Thank you for supporting ABS, and good luck! Unlike the agony and ecstasy in his famous Passion settings, Bach composed joyous music for Easter and the Feast of the Ascension. Boasting a full compliment of wind instruments, percussion, vocal soloists, and chorus, all uniting in exaltation, these oratorios have their fair share of excitement and jubilation. Along with the Christmas Oratorio, the Easter & Ascension Oratorios are the only other compositions that Bach called oratorios. If you heard ABS perform the Christmas Oratorio in December, then you do not want to miss ABS complete the trifecta of Bach Oratorios, April 22-25. Tickets for the 7th annual American Bach Soloists Festival & Academy are now on sale. The 2016 Festival will include performances at St. Mark's Lutheran Church and the San Francisco Conservatory of Music from August 5-14, 2016. Titled "An Italian Journey," many of the concerts and lectures will explore sacred and secular works from the finest composers who worked in Florence, Venice, and Rome during the era. Additionally, the ABS Festival & Academy will present the North American premiere performances of Handel's 1734 Serenata, Parnasso in festa, and Bach's monumental Mass in B Minor. Help ABS Academy musicians get their cellos, gambas, & contrabasses to San Francisco by supporting their instruments' travel! Rewards begin for pledges of $10 - your name in the ABS Festival & Academy program. Remember, the Academy does not receive any funds unless the goal of $4,000 is reached by May 1. Pledge today! ABS is pleased to announce that countertenor Eric Jurenas is the 2017 recipient of The Jeffrey Thomas Award. Within only a few short years, Jurenas has emerged from auspicious talent at the 2011 ABS Academy to one of the leading young countertenors of his generation. Don't miss your chance to hear Jurenas this season in Easter & Ascension Oratorios, April 22-25. Each season, ABS presents free public master classes at the San Francisco Conservatory of Music where students work with an ABS musician on matters of technique, interpretation, and applying a historically informed approach to Baroque repertory. 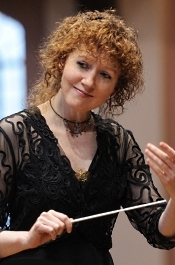 On Monday April 18 at 7:30 pm, ABS flutist Sandra Miller will coach Conservatory students on Baroque repertory. Admission to the master class is free and open to the public; no tickets or registration is required. Ithaca College announced that it is awarding Francisco J. Núñez an honorary Doctor of Music degree at its Commencement Ceremony on Sunday, May 22 for his record of outstanding achievement, community service, philanthropic endeavors, interest in education and humanitarian programs; as well as for his scholarly contributions that benefit humanity and society in ways that harmonize with the heritage, character and mission of Ithaca College. Janet Galván, Ithaca College Professor of Music Performance, noted, Francisco Núñez "uses music to instill self-discipline and to motivate young people to reach their full potential. He has brought unique ideas to working with young people, using music as an instrument of social change. 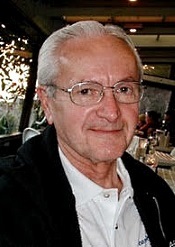 He has brought honor to the entire profession of music teaching." New England Conservatory announces today that two of its alums, violinist Robyn Bollinger ('13 B.M., '15 M.M.) and cellist and conductor Nico Olarte-Hays ('12 Harvard/NEC) have been awarded Leonore Annenberg Fellowships. The highly regarded performance and artistic career-development grant provides $50,000 a year for up to two years to help promising individuals make a breakthrough in their artistry, broaden their skills, and achieve professional success. Bollinger was nominated by New England Conservatory which will advise her during the fellowship. 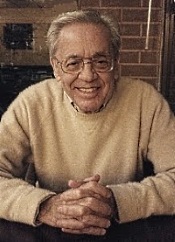 Olarte-Hays was nominated by the Perlman Music Program, where he studied for eight years. 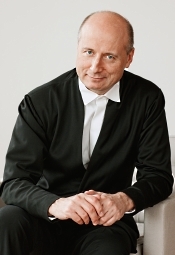 Paavo Jarvi; Marinsky Choir, St. Petersburg; Orchestre Philharmonique de Radio France. Virgin Classics 7243-5-45609-2. You're probably better at remembering things than I am because when I hear the name Paavo Jarvi I still find it hard not to think of Neeme Jarvi or Paavo Berglund. Fortunately, the younger Jarvi shares the same no-nonsense approach to music making as the older men. 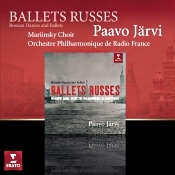 In this collection of famous short dances by Russian masters, Paavo Jarvi plays the music in a straightforward fashion--straightforward to a fault, I might add--and generally the music sounds the better for it. The disc contains the usual suspects: Tchaikovsky, Khachaturian, Shostakovich, Prokofiev, Glazunov, Liadov, Glinka, and Borodin. The tunes are about as familiar as the names, too: the Polonaise and Waltz from Eugene Onegin; the "Sabre Dance" from Gayaneh; the "Waltz of the Flowers" from The Nutcracker; the "Dance of the Knights" from Romeo and Juliet; the "Polovtsian Dances" from Prince Igor; etc. As well, there are a few less-familiar pieces: Shostakovich's cheeky little "Polka" from The Golden Age and "Waltz No. 2" from the Jazz Suite No. 2; Liadov's "Dance of the Amazon"; Glinka's "Valse-Fantasia," among others. Nothing lasts more than a few minutes, so it's the kind of album you can pop into your player for a moment or two or linger over for a while between chores. More important, Jarvi serves it all up comfortably. He is perhaps not as idiomatic as some conductors in this type of repertoire nor so colorful as others, but, as I've said, his direct, forthright approach lets the music speak for itself, and that can be a pleasant surprise, indeed. It's all fairly light music, after all, and in short bits it's hardly the kind of thing one can get too far into; therefore, Jarvi's honest yet lively renditions of these pieces hit a welcome sweet spot. Originally released by Virgin in 2004 (and rereleased in 2011 by Erato on the disc pictured above), the recording is robust, to say the least, not always conforming to the audiophile's conception of good audio, perhaps, but reasonably faithful to a real-life source. The bass comes up strong, perhaps a tad overly heavy, the bass drum especially prominent when necessary. The midrange appears somewhat obscured by the bass overhang and in full bloom seems somewhat thick. The highs are maybe not always as clear or vibrant as they could be, either, and on occasion sound slightly hard and sharp. The overall sonic effect is not unpleasant, however, and will surely please listeners seeking a "big" musical experience. Also, Rodeo; El Salon Mexico; An Outdoor Overture. 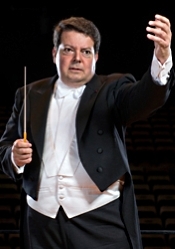 Andrew Litton, Colorado Symphony. BIS 2164. American composer, conductor, writer, teacher, and critic Aaron Copland (1900-1990) was hardly a Westerner. Born in Brooklyn, New York and traveling the world, he nonetheless wrote some of the most-popular "Western" music in the serious, symphonic canon, much of which we find on this album by Maestro Andrew Litton and the Colorado Symphony. It seems appropriate that an American conductor and an American symphony orchestra from the western United States should play this music, too. Not that it matters, I suppose, but why not play Copland's scores in the very heart of the Old West. More important, Litton provides a good show, giving Copland's quintessential American tunes a rousing welcome. Things begin, though, with a lesser-known Copland piece, An Outdoor Overture, which Copland wrote in 1938 for the High School of Music and the Art in New York City. The music begins with a familiar Western motif, which we see more fully exploited in the works that follow. And like the other pieces on the program, the overture is highly descriptive and effectively expressive. Maestro Litton and his players provide a full, resonant interpretation. Then we get to the heart of the program, Billy the Kid (1938), a ballet Copland wrote for the American Ballet Caravan (the predecessor of the New York City Ballet). Ironically, the composer had little interest in what one might call "cowboy music," but arming himself with a book of cowboy tunes, off he went. Moreover, the songs gave Copland the impetus to write the simple, straightforward music he had been seeking. Litton presents the piece in its complete ballet form. From its quiet introduction through its programmatic and more-boisterous sections, Litton leads the music in exemplary fashion. There's nothing too fancy or eccentric about the conducting, nor is it in any way commonplace. He simply fulfills the function of the score, making it come alive, refreshing and enlightening and, above all, entertaining. Incidentally, the "Gun Battle" is always fun, and the quality of the BIS recording enhances the excitement. Next on the agenda is El Salon Mexico, which Copland wrote between 1933 and 1936 after a trip to Mexico in 1932 and visiting a rather spirited nightclub called "El Salon Mexico." The composer filled the relatively short work with an abundance of themes derived from Mexican folk music. Here, we see not only Copland but Litton at their most spirited and colorful. Although Litton doesn't quite match Leonard Bernstein and the New York Philharmonic for sheer gusto, Litton does add a sweet, nuanced outlook of his own to the agenda. The program concludes with the complete, although also fairly brief, Rodeo from 1942. The success of Billy the Kid four years earlier prompted the Ballet Russe de Monte Carlo to commission Copland to do a follow-up ballet for them, and if anything it became even more successful than the earlier piece. Like Billy the Kid, Rodeo is a rather short ballet, in this case less than half an hour. However, Litton provides the middle section, "Ranch House Party," that Copland himself left out of his own recording (Sony) with the LSO. Although Copland handled the whole affair with a tad more energy, Litton and his orchestra play it with enthusiasm and whip up plenty of exhilarating thrills in the process. Still, it's in the more-relaxed passages that Litton excels, as in the "Corral Nocturne" and "Saturday Night Waltz." 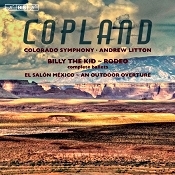 Litton's album makes a most-welcome addition to the catalogue of Copland recordings, combining the elements of Western Americana and symphonic elegance in fine balance. Producer Robert Suff and engineer Matthias Spitzbarth recorded the music at Boettcher Concert Hall, Denver, Colorado in November 2014. They made the recording in hybrid SACD, so one can play a two-channel stereo or multichannel surround SACD layer using an SACD player or a two-channel stereo layer using any regular CD player. I listened in two-channel SACD. Rather than be spread across the speakers in a straight line, the sound appears realistically centered between the speakers, with a lifelike depth of image. Dynamics are strong and wide, the frequency response fairly neutral, and the frequency extremes more than adequate for the job. BIS engineers clearly went after a naturalness of sound for this release, and by and large they achieved their goal. Music Director Joana Carneiro and Berkeley Symphony close their 2015-16 season Thursday, May 5 at 8 pm at Zellerbach Hall with the West Coast premiere of Mark Grey's Frankenstein Symphony, which the Orchestra co-commissioned with Atlanta Symphony Orchestra. Violinist Simone Porter makes her first appearance in the Bay Area, performing Tchaikovsky's Violin Concerto with the orchestra. Composer Mark Grey, a native of San Francisco, created the Frankenstein Symphony from his forthcoming opera Frankenstein, which premieres at La Monnaie in Brussels, Belgium, in June 2016. The symphony was co-commissioned with the Atlanta Symphony and premiered there in February 2016. Both works are based on Mary Shelley's book, in honor of the 200th anniversary of its conception. Tickets are $15-$74 and are available at www.berkeleysymphony.org or by phone at (510) 841-2800, ext. 1. Berkeley Symphony offers a $7 Student Rush ticket one hour prior to each performance for those with a valid student ID. From April 22-25, ABS presents "Easter & Ascension Oratorios," a program of glorious works that were composed for two important celebrations within the Lutheran calendar by J.S. Bach, Kuhnau, and Buxtehude. ABS will perform Kuhnau's Ascension cantata Ihr Himmel jubiliert von oben ("Therefore rejoice, you heavens"), and also our namesake's Lobet Gott in seine Reichen ("Praise God in his riches"), otherwise known as the "Ascension Oratorio." Jeffrey Thomas will also conduct a magnificent assemblage of ABS artists—trumpets, timpani, oboes, recorders, flute, strings, voices, and continuo—in celebratory music for Easter, beginning with Buxtehude's Heut triumphieret Gottes Sohn ("Today God's Son Triumphs") and J.S. Bach's Oster-Oratorium, or "Easter Oratorio." Join us April 22-25 and let these radiant works uplift you! The Wallis Presents "An Evening with Peter Sellars"
The Wallis Annenberg Center for the Performing Arts joins forces with the Ojai Music Festival for the first time to present a lively Arts & Ideas conversation between groundbreaking opera and theater director Peter Sellars and The New Yorker music critic Alex Ross. The conversation will take placeon the stage of the Bram Goldsmith Theater on Monday, May 16 at 7:30pm. 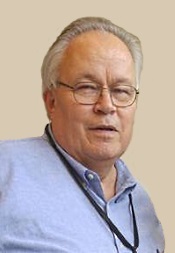 Sellars, Music Director of the 2016 Ojai Music Festival in June, has gained international renown for his transformative interpretations of artistic masterpieces such as John Adams's Nixon in China and The Death of Klinghoffer, as well as for his distinctive collaborations with an extraordinary range of artists including Finnish composer Kaija Saariaho, dance pioneer Reggie Gray and Nobel Prize-winning novelist Toni Morrison. Ross, a 2008 MacArthur "Genius" Fellow, is the author of The Rest is Noise: Listening to the Twentieth Century, winner of the National Book Critics Circle Award and finalist for the Pulitzer Prize. Tickets for An Evening with Peter Sellars are now available for $25 – $35. For more information or to purchase tickets, visit TheWallis.org, call 310.746.4000, or stop by in person at the Wallis Annenberg Center for the Performing Arts Ticket Services located at 9390 N. Santa Monica Blvd., Beverly Hills, CA 90210. Ticket prices subject to change. Robert Spano returns to Carnegie Hall on April 30 with the Atlanta Symphony Orchestra and Atlanta Symphony Orchestra Chorus, joined by soprano Jessica Rivera and baritone Nmon Ford, bringing the New York premiere of Zohar. This oratorio by Jonathan Leshnoff is co-commissioned by the ASO and Carnegie Hall to commemorate the 100th anniversary of the choral giant Robert Shaw and honors his ties to Carnegie Hall. The date is significant as April 30, 2016 would have been Robert Shaw's 100th birthday. The second half of the program features the Brahms Requiem. Now in his fifteenth season with the ASO, Robert Spano makes his ninth appearance at Carnegie Hall over 12 consecutive seasons with this performance. The immeasurable and lasting influence of Robert Shaw, ASO Music Director from 1967-1988, is still felt by musicians and concertgoers today, 100 years after his birth. Deeply committed to musical expansion and engaging communities with art, Shaw's numerous ambitions for the Orchestra and its service to Atlanta brought the ASO to the forefront of artistic and cultural innovation. Throughout his 21-year tenure as Music Director, Maestro Shaw programmed and commissioned more contemporary pieces than Atlanta had ever seen; his dedication to racial equality eventually led to the integration of black musicians into the all-white Orchestra as well as to the board of directors. Due to the orchestra's increased popularity as a cultural hub and Shaw himself, the importance of a choral program that matched the orchestra's level of excellence rose naturally, with the ASO Chorus officially forming in 1970 and debuting at Carnegie Hall just six years after its inception. The ASO Chorus has made numerous returns to Carnegie since then, solidifying not just its place as one of the nation's most beloved vocal ensembles, but of Shaw's legacy as one of the great musical progressives of the 20th century. Music Director and Conductor Piotr Gajewski and the National Philharmonic at Strathmore announced its 2016-2017 season today. The new season will feature the music of Vivaldi, Bach, Handel, Mozart, Beethoven, Rachmaninoff, and more. The season kicks off with an evening of Beethoven featuring a National Philharmonic favorite, pianist Brian Ganz, performing the Piano Concerto No. 4 on September 17 and 18 at the Music Center at Strathmore. Other soloists featured throughout the year include pianist Eric Lu playing Rachmaninoff's Piano Concerto No. 2; violinist Chee-Yun performing Vivaldi's and Piazzolla's The Four Seasons; and cellist Zuill Bailey showcasing Bruch's Kol Nidrei and Bloch's Schelomo. The National Philharmonic Chorale performs its annual Messiah under the direction of Artistic Director Stan Engebretson in mid-December. In addition, the Chorale will be showcased in a program entitled Music From the English Cathedral and one that includes the rarely heard version of Tchaikovsky's 1812 Overture (with chorus) paired with Carl Orff's Carmina Burana. In addition, the chorale will participate in a concert presenting the local premiere of Jonathan Leshnoff's oratorio Zohar with soprano Danielle Talamantes and baritone Nmon Ford. In its eleventh year of residency at the Music Center at Strathmore, the National Philharmonic is performing to nearly 50,000 people each year. The Philharmonic will continue its commitment to education and outreach by offering free concerts to every second grader in Montgomery County Public Schools, free pre-concert lectures, master classes with renowned guest soloists and high quality summer string and choral programs. New this season: The Philharmonic is offering several instrument petting zoos (Oct. 9 and April 23) and a new series -- "Musical Musings with the Maestro" -- during which Maestro Gajewski will discuss music to be performed in upcoming Philharmonic concerts. The "Musical Musings" will be at the Mansion at Strathmore at 10:30 am on October 3, 2016 and January 23 and April 17, 2017. For the eighth year, National Philharmonic is offering its subscribers a Custom Series, which allows subscribers to create their own packages and receive discounts of up to 25% on tickets. Subscription information is available by calling 301-581-5100 or at nationalphilharmonic.org. Carl Palmer, among the most renowned drummers in rock history and a founding member of both ELP and ASIA, is returning to the United States and Canada for a tour he has decided to name: The 2016 Remembering Keith and the Music of Emerson Lake & Palmer Tour. Originally designed to be a celebration of Palmer's 50th year in music, the focus and name of the tour was changed in light of the tragic death of Keith Emerson on March 11th. "I will deeply miss Keith and I want you all to know I will carry on flying the ELP banner and playing the great music with my band for many years to come," said Palmer, in a statement. "We have lost a very talented and gifted musician but this great music will continue for a long, long time." To honor his late friend and former band mate, Palmer, in association with Audio One, will present a special show: "Pictures At An Exhibition--A Tribute To Keith Emerson" which will feature music by Carl Palmer's ELP Legacy band with special guests, cinematic images, and performances by The Center For Contemporary Dance, who will interpret the music of Emerson Lake & Palmer in contemporary dance segments combined with backing from Palmer and his band. The tribute show, which will also include other guest musicians yet to be announced, will be staged one night only, Friday, June 24th, 2016 at Miami, Florida's historic and intimate Olympia Theater. Tickets are available at http://tickets.olympiatheater.org/eventperformances.asp?evt=142. New York-based Organist David Enlow, hailed for his "enormous virtuosity" (Stuttgarter Zeitung), "arresting performances" (The American Organist), and his "gutsy, yet sensitive" playing (Organ Canada), presents a program of all J.S. Bach, taken from his forthcoming album Bach on Park Avenue, recorded at St. Ignatius Loyola on the church's celebrated N.P. Mander Organ. Enlow's performance is Sunday, April 17, at 3:00 pm at the Church of St. Ignatius Loyola. Tickets are $20 and may be purchased by calling 212-288-2520. Set against the grandeur of the Church of St. Ignatius Loyola, Sacred Music in a Sacred Space's N.P. Mander Organ Recital Series continues to showcase some of the New York area's most renowned organists in a concert format befitting this majestic setting. At 5,000 pipes, 30 tons and 45 feet high, the N.P Mander organ is the largest tracker-action pipe organ in the New York metropolitan area. This massive, kingly instrument bellows beneath the cavernous vaults at St. Ignatius Loyola. All N.P. Mander Organ Recitals feature large-screen projection, offering the audience a rare view of the organist at work. Philharmonia Baroque Orchestra will close its 35th anniversary season with Beethoven and Mendelssohn in a program called "Hymns of Praise" to be performed April 27 through May 1 throughout the San Francisco Bay Area. As Nicholas McGegan wraps up his own 30th season as music director of the orchestra, he'll not only lead the orchestra but also a powerful chorus of voices from the Philharmonia Chorale and other local choruses. The first half of the program will feature three works from Beethoven including his Leonore Overture No. 3, his "Elegischer Gesang" (also known as "Elegiac Song") and "Meeresstille und glückliche Fahrt," (translated "Calm Sea and Prosperous Voyage"). The latter two works will feature the Philharmonia Chorale directed by Bruce Lamott. The second half is dedicated to Felix Mendelssohn's monumental Symphony No. 2 "Hymn of Praise" or "Lobgesang." This is considered Mendelssohn's most profound work and PBO intends to present it in top form with guest choruses from the San Francisco Conservatory Chamber Choir, directed by Ragnar Bohlin, the Stanford Chamber Chorale directed by Steven Sano, and U.C. Berkeley Chamber Chorus directed by Marika Kuzma. Soloists include regular PBO guest soprano Dominique Labelle, soprano Ashley Valentine, and tenor Thomas Cooley. Tickets range from $25 to $105. For more information about this and other Philharmonia Baroque Orchestra & Chorale concerts, visit philharmonia.org. For tickets, visit cityboxoffice.com or call 415-392-4400. The Music Institute of Chicago, now in its 86th year, hosts its annual gala Wednesday, May 25 at the Four Seasons Hotel Chicago, 120 East Delaware Place. The oldest community music school in Illinois and one of the three largest community music schools in the nation, the Music Institute is planning a celebratory evening highlighted by the presentation of the Dushkin Award to acclaimed violinist Joshua Bell. The evening begins at 6 p.m. with cocktails and hors d'oeuvres, followed by an elegant dinner and awards presentation. Musical performances throughout the evening include some of the Music Institute's talented Community School students and award-winning students from the Music Institute's Academy for gifted pre-college musicians, celebrating its 10th anniversary this year. Individual tickets to the Music Institute of Chicago's 86th Anniversary Gala are $550; table sponsorships are available for $5,500–50,000. For information, please call 847.448.8327. The California Symphony celebrates its 30th season in 2016-17 and its fourth season with Music Director Donato Cabrera, with a year of special programming that highlights the music by a Young American Composer-in-Residence program alumnus on each of its six concerts at the Lesher Center for the Arts in Walnut Creek. Throughout its 30-year history, the Orchestra has made American repertoire its special focus, nurturing and commissioning work from emerging American composers as well as performing the most revered core classical repertoire. During the 2016-17 season, Cabrera leads the California Symphony in compositions by Christopher Theofanidis (YACR, 1994-96), Kevin Puts (1996-99), Pierre Jalbert (1999-2002), Kevin Beavers (2002-05), and current YACR composer Dan Visconti (2014-17), who was recently awarded the prestigious Koussevitzky Foundation Grant by the Library of Congress. 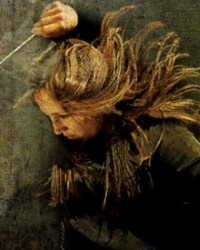 In May 2017, the Orchestra and Israeli-American cellist Inbal Segev perform the world premiere of Visconti's new cello concerto, Tangle Eye, commissioned as part of the Composer-in-Residence program by California Symphony. Other season highlights include the Orchestra's first performances of Beethoven's Symphony No. 4 and Bruckner's Symphony No. 6; a performance of Rachmaninoff's Symphony No. 2; Romanian-Austrian pianist Maria Radutu in her West Coast debut as soloist in Mozart's Piano Concerto No. 23; Bay Area native and rising star flutist Annie Wu in Mozart's Flute Concerto in G; Acting Concertmaster and San Francisco Opera violinist Jennifer Cho in Ravel's Tzigane on an all-French program; and stage and screen star Rita Moreno as the narrator in Prokofiev's Peter and the Wolf, in two Christmas concerts. Season subscription ticket packages go on sale today, Tuesday, April 5, at 10 am. "The California Symphony's 30th anniversary season will celebrate both the lasting work and successes of the many Young American Composers-in-Residence who have gone on to great international acclaim, and the artistic excellence of our own California Symphony musicians, many of whom have been performing with the Orchestra for more than 25 years," said Music Director Donato Cabrera. "I am also looking forward to introducing several exciting soloists to our audience, and to performing three beloved symphonies: Beethoven's Symphony No. 4, Bruckner's Symphony No. 6, and Rachmaninoff's Symphony No. 2." Subscription ticket package prices for the California Symphony's 2016-17 season range from $100 to $288 and are on sale April 5 to renewing subscribers and the general public. Tickets can be purchased through the California Symphony's Web site at www.californiasymphony.org and at 925-280-2490. Tickets for the June 18 California Symphony Cirque du Symphonie concert are on sale now and are available at www.californiasymphony.org and at 925-280-2490. All regular season 2016-17 California Symphony concerts will go on sale to buyers of individual concert tickets on August 11. The City, a new work by Pulitzer Prize-winning composer Kevin Puts, will receive its World Premiere performances April 14-16 in the Washington DC area, Baltimore and New York's Carnegie Hall, performed by the Baltimore Symphony Orchestra conducted by Marin Alsop as part of the BSO's Centennial Celebration. The piece is a musical portrait of Baltimore, accompanied by an original film by James Bartolomeo featuring iconic imagery from Baltimore's past and present. Heavily influenced by recent events, the video and music reflect on the unrest following Freddie Gray's 2015 death in police custody, as well as the public expressions of optimism and mutual understanding which followed. There will be three concerts featuring The City: Thursday, April 14 at 8pm at The Music Center at Strathmore; Friday, April 15 at 8pm at Joseph Meyerhoff Symphony Hall; and Saturday, April 16 at 8pm at Carnegie Hall. Mr. Puts, who won the Pulitzer Prize in 2012 for his opera Silent Night, writes in his note on the piece, "Though inspired by the city of Baltimore, The City was intended to be an exploration of many aspects of American urban centers. My work on the piece intensified after the unrest of April 2015…after this incident, I aspired to transcend mere illustration and compose a work with the potential to heal, as well."